COMPANY PROFILE Acom Co Ltd is a financial service provider engaged in loan and credit card business, guarantee business, loan servicing, and overseas finance business. Acom is a Japanese consumer finance company. Its three core business categories are its loan and credit business, guarantee business, and its overseas financial business. Other business includes its loan servicing business. Its loan and credit business was founded on “salaryman loans,” a type of unsecured consumer loan that is provided based on consumer credit, a practice that continues today. In addition to ATMs, Acom’s distribution relies on multifaceted sales channels, including a call center, Internet services, and mobile phones. Acom’s overseas businesses are mostly in the retail finance sector in Thailand and Indonesia. 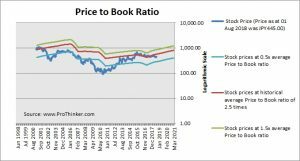 At the price of JPY445.00 as at 01 Aug 2018, Acom Co Ltd is trading at a Price to Book Ratio of 1.9 times current book value. 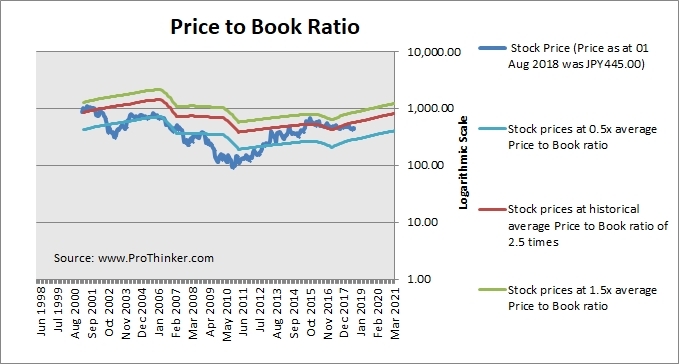 This is a 22% discount to its historical average Price to Book Ratio of 2.5 times.